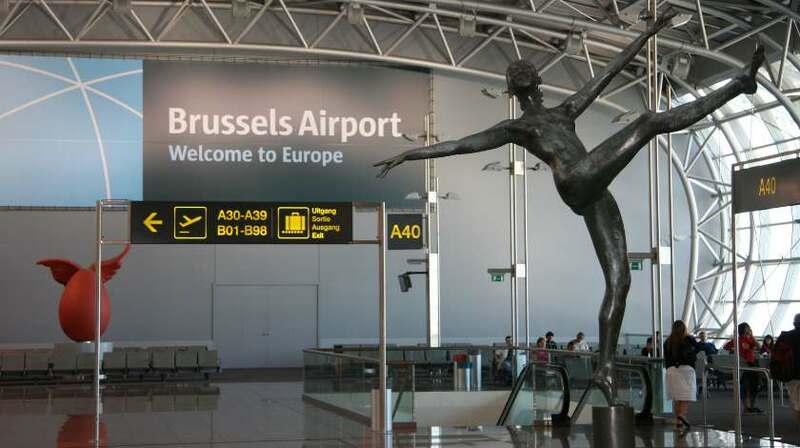 Brussels Airport reopened on Sunday for three “symbolic” flights by Brussels Airlines following days of negotiations between airport authorities and police over new security measures. A Brussels Airlines departure to Faro, Portugal, marked the first flight operation since March 22, when a pair of bombs that detonated in the airport’s departure area killed 16 people and a separate bomb at a Brussels subway station killed another 16. Brussels Airlines subsequently flew to Turin, Italy, and Athens, after passengers underwent additional security measures approved by federal police. The new security measures include document spot checks at airport entrances and scanning of passengers and bags outside the terminal building. The measures also include no bus or train service to the airport, leaving cars and taxis as the only means to enter the grounds, and only ticketed passengers may enter the temporary check-in area. The airport recommended that all passengers arrive three hours before their scheduled departure time. Belgian police had protested what they considered lax security at the airport, both before and after the blasts, and threatened to strike in the absence of increased screening outside the terminal buildings. In the days leading to the reopening, Brussels Airport, public fire services, the BCAA and federal police and defense personnel evaluated the results of a large-scale trial run involving 800 airport staff on Tuesday. On March 24 crews began erecting temporary structures including an area equipped with check-in desks at the airport’s Connector building, which links the passenger terminal to the gate area called Pier A. From there, a temporary route runs along a service stairway to the screening platform of Connector, which emerged from the attacks unscathed. Officials estimate the provisional infrastructure will allow the airport to receive 800 departing passengers per hour, or 2.5 million departing passengers a year. That amounts to 20 percent of the normal capacity at Brussels Airport. Meanwhile, plans call for arriving passengers to pass through the usual baggage reclaim and arrival area in the terminal, where crews repaired minor damage from the blasts. Brussels Airport has now started the demolition work to remove all damaged elements in the departure hall. Reconstruction of the departure hall will take place in two stages, the first concentrating on restoring the functionality of several check-in desks and the second centering on a comprehensive reopening of the departure hall. Although the airport said it has not set a timetable, authorities said they aim to reach maximum capacity before the start of the summer holidays at the end of June or beginning of July.